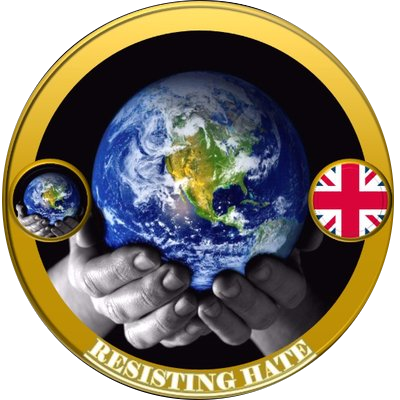 I’m here to fight the extremism, because it’s filthy, hateful and unbelievably evil in a way which I have never quite realised before (becoming involved with Resisting Hate). And yes, it’s immensely dangerous, it risks contagion and am I am totally committed. But thankfully support for far right extremism isn’t huge so we have every chance or of winning or, at worst, containing the disease. But there is something else which is a far greater challenge and potentially much more dangerous. 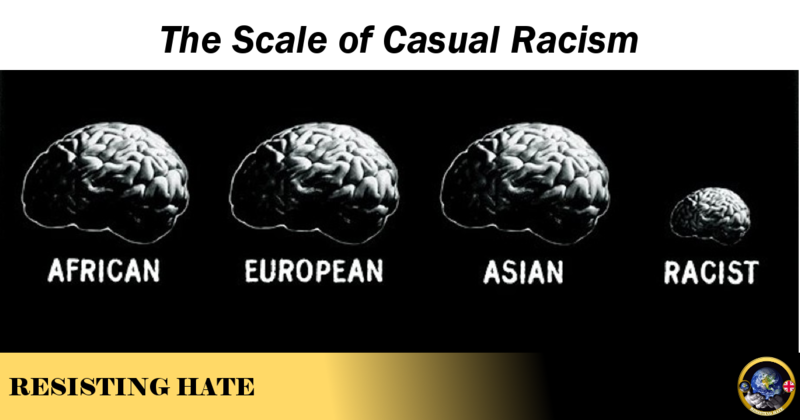 There is a potentially more pernicious influence at work in the form of the underlying, institutionalised racism which exists in this country today and which permeates all demographics and political views. The racism of the “nice people”, of the ignorant, of the next door neighbours. It’s the racism of those who don’t believe they are racist, the racism of the subconscious, of those who don’t like diversity but who make exceptions for the surgeon who saved their son’s life. It’s the racism of hypocrisy and it’s my hobby horse because I hate (oops) hypocrites. These latent racists pose the real world threat, because there are simply so many of them. Perhaps 30% of the population, as a minimum? Brexit has empowered many of them, given them license to insult, vilify and hate in the name of so called patriotism (aka nationalism). And there are yet more who lurk beneath the surface of respectability but who still crack the jokes and laugh at the insults down the pub of a Saturday night. So these guys scare me, not because of their extremism but rather of their scale. They are everywhere, their racism is deep rooted and is being awoken. The Far Right are the detonators, these institutionalised racists are the weapon. Robinson knows this, as does Waters and the rest, as did Hitler. The ingredients are all there, the danger is not just from the Far Right, but from the population itself. Do I really believe such dystopian thoughts? I mean, of all the European countries with their extreme “popularism”, the UK seems to be the most tolerant, the least racist, the most welcoming. We’ve never tolerated fascism, we have never liked extremism. We have what “appears” to be a fairly moderate Government as well, one which doesn’t tolerate RW extremists. After all, this couldn’t possibly happen in the UK . . . Yet on the other hand, we are the only EU country to have actually adopted an extreme RW ideology in Brexit, an ideology beloved of every Alt/Far Right group in Europe. We are the model to which the fascists aspire. And, despite appearances, we have a Government who appears to have control of the media narrative, who is pursuing the authoritarian Brexit, and who continually challenges any dissenters from the Lords to the Judiciary and beyond. So yes, reluctantly, and with incredulity, I accept the realistic probability of a more dystopian future – Brexit has released dark forces which could coalesce into the perfect storm. This is how the extremists take power. But even if the future is not so bleak, we still have the ingrained societal racism which is abhorrent and must be uprooted, no matter how hard it will be and how long it will take. Either way we cannot afford to do nothing. Read this and to my horror found out that we (tax payers) only just finished paying of the loan to pay off slave owners in 2015 and that the slaves as a people have never had an apology from this country. Radical Islam failed as it never attracted numbers (and had a poor choice of soft targets) the far right can appeal to millions and has Whitehall worried. Far right claim to have a wider reach than they actually have. Have you ever wondered why they’ve never got into any political power? People don’t vote for them. Don’t worry, they will never get the infrastructure they want, the people won’t ever let it happen.